2. Try the link to other online reference collections on this page. For online sources, look for "Reference Entries" under the Resource Type facet. 4. Visit our Quick Reference Online pages listed on this page. Reference Universe searches across specialized research encyclopedias, handbooks, dictionaries, etc. 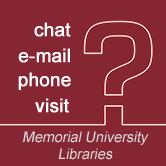 Results may be online OR in print at one of our libraries. provide a good introduction to a topic. identify additional relevant sources such as books and periodical articles. Encyclopedias - Contain concise, factual information on topics or concepts. Handbooks - Contain practical information (e.g., how to do something) on a topic. Almanacs - Contain calendars, basic facts, and statistical information relating to people, places, and events. Biographical sources - Contain biographical information on individuals such as birth and death dates and major achievements. Dictionaries - Contain definitions of terms.